This year is your year. Your lawn WILL be the best on the block. If this is something you’ve dreamed of for a while, we can help you make it a reality. We’ve put together five easy steps to get your lawn from lackluster to lush this spring. 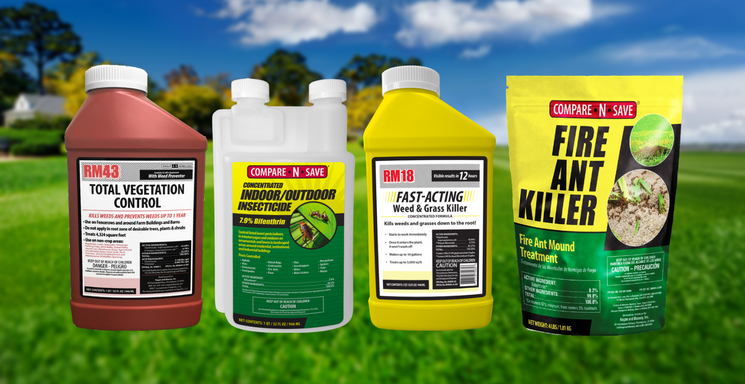 Nothing is more frustrating than spending hours – and money – on your lawn and landscaping, only to have it ruined by a noxious weed or plant pest. Invasive species of plants grow super-fast, essentially choking out the plants you want to keep. What’s The Best Way To Mow Your Lawn? When you mow your lawn, you keep it healthy. Lawns that are mowed correctly groom the turf to be thick enough to crowd out weeds and more drought tolerant. But, mow it incorrectly, or with bad habits, and you could be paving the way for your lawn to suffer. The hot, dry weather that engulfs the U.S. every summer can be downright brutal on your lawn; making it look un-kept and just plain haggard. But, you don’t have to fight the heat – use Mayberry Grass Seed instead. 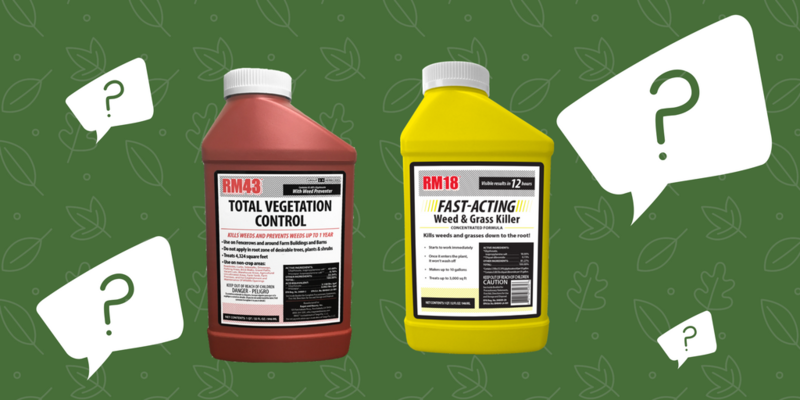 With the recent introduction of RM18 to our herbicide family, we’ve had a lot of people asking what makes it so special–and what makes it so different from the other effective weed-killers we offer, namely RM43.